Teach your students about fall in Chinese (Mandarin)! 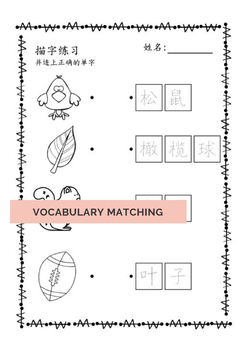 This pack includes all of your materials for this Chinese unit of study! The vocabulary included: acorn, crow, football, hay, leaves, rake, squirrel, sunflower, sweater and trees. We have included materials for Pinyin and Simplified Characters in this pack. (A separate version for Traditional Chinese is available in the links below.) 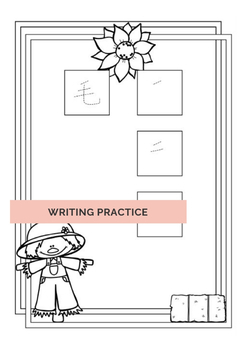 Using these fun and engaging materials, you will be able to teach, practice and reinforce lots of Chinese vocabulary related to fall! 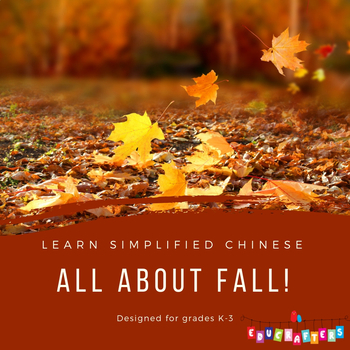 Have fun teaching your students all about fall in Chinese! 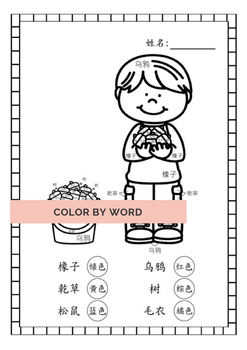 Check out all of our Mandarin Chinese Learning Materials! Just click on the green “Follow” star at the top of this page or our store page to follow our store, which will notify you first when we post new items! All new items are 50% off for the first 48 hours they are posted! You will also receive customized email updates about our store products.